9 Black Female Filmmakers to Celebrate for Women’s History Month! Julie Dash NYC native and UCLA alum Julie Dash may be best-known for her first feature, Daughters of the Dust (1991), funded in part by NBPC. With a cast comprised almost entirely of African American women, “Daughters” was the first film by a black female director to receive U.S. theatrical release – and has since become a classic of independent cinema. This past November, Cohen Media issued a 25th-anniversary re-release of “Daughters of the Dust.” The film continues to screen nationwide. (You can find a full list of showtimes on Cohen’s website.) Julie Dash’s long and distinguished career (“Incognito,” “Love Song” and “The Rosa Parks Story” with Angela Bassett, and many others) continues with her latest project Travel Notes of a Geechee Girl, a documentary about the life of author, chef and performer Vertamae Smart-Grosvenor. Angela Tucker A frequent collaborator with NBPC, Emmy-nominated Angela Tucker is the director of the web series Black Folk Don’t… and the series producer for AfroPoP: The Ultimate Cultural Exchange. Her award-winning and boundary-defying work includes the feature-length doc “(A)Sexual” (available on Netflix and iTunes), “The New Black” (which had its 2014 premiere on Independent Lens) and the teen comedy “Paper Chase” (co-written with Lauren Domino). A graduate of Columbia University’s film MFA program, Angela is the founder and president of the production company TuckerGurl LLC. Rita Coburn Whack Two-time Emmy winner Rita Coburn Whack has written, produced and directed work for an incredible variety of media outlets, including public radio and television. 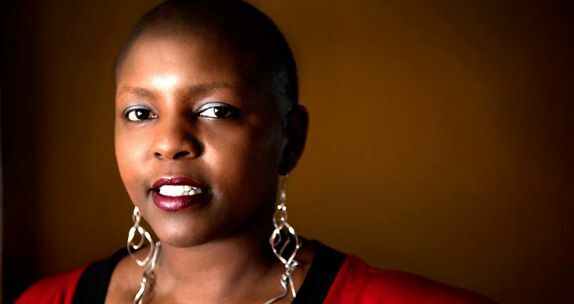 The owner of RCW Media Productions, Inc., she most recently co-directed the first feature documentary about author/activist Maya Angelou, which aired last month on “American Masters.” NBPC is a proud co-funder of Maya Angelou: And Still I Rise. The film is available to stream FREE for a limited time on our website. 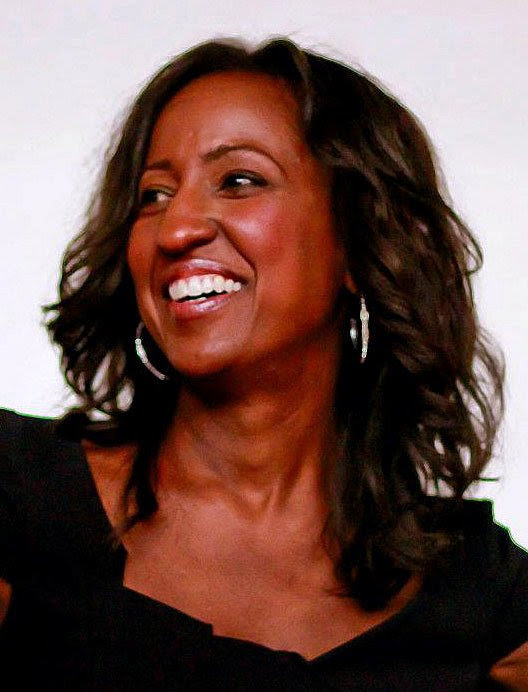 Melissa Haizlip Award-winning filmmaker Melissa Haizlip is the National Black Programming Consortium’s current artist-in-residence. Her work has included the 2013 short You’re Dead to Me and the feature-length doc Mr. SOUL! Ellis Haizlip and the Birth of Black Power TV, which won the Audience Award at the 2015 Martha’s Vineyard Film Festival and screened as a work-in-progress at IFP’s Spotlight on Documentaries during Independent Film Week. In addition to her residency at NBPC, Melissa has participated in the 2015 NALIP ARC Diverse Women in Media Residency and the Chaz and Roger Ebert Producing Fellowship. She is an alum of Film Independent’s Project: Involve, Firelight Media’s Documentary Lab, the PGA Diversity Workshop, and Yale University. She is currently in production on the sci-fi feature A Day in the Life of Bliss, directed by Wu Tsang. Christine Turner A San Francisco native and NYU alum, Christine Turner has an impressive resume, featuring work with Stanley Nelson, Bill Moyers, Thirteen/WNET, HBO and many others. Her documentary and fiction films have been screened at Tribeca Film Festival, the San Francisco International Film Festival and (most recently) the 2017 Sundance Film Festival. They include the documentary Homegoings – co-presented by NBPC when it premiered on the PBS series “POV” in 2013 – as well as the short films “Hold On,” about Alzheimer’s disease, and “You Can Go,” about a school administrator and a troubled student. Yoruba Richen Director, writer and producer Yoruba Richen enjoys a successful career both in journalism and in documentary film. 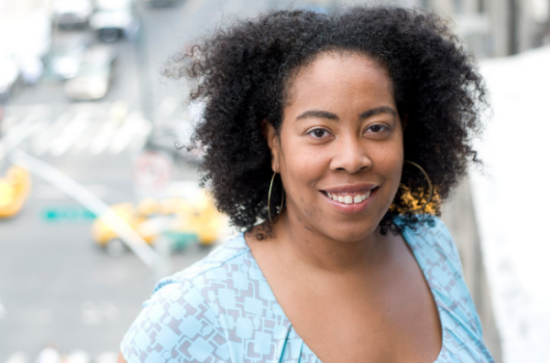 A Harlem native and director of the CUNY Graduate School of Journalism’s documentary program, she has received funding from, among others, ITVS, Sundance, Chicken & Egg Pictures and NBPC. Her doc The New Black won Urbanworld Film Festival’s Best Documentary Award and aired on the PBS series “Independent Lens” in 2014. She also produced “Out in the Night,” which broadcast on “POV” in 2015. Other acclaimed work includes “Promised Land” (2010), the drama “Brother to Brother” (2004) with Anthony Mackie and the NYC-centric doc “Take It From Me” (2001). Jacquie Jones Not only is Jacquie Jones a digital media pioneer, she has played a vital role in the history of the National Black Programming Consortium. An award-winning director, producer and writer now based in Washington, D.C., Jacquie served as NBPC’s executive director for 13 years. She executive produced the series “AfroPoP” for seven of its nine seasons, as well as NBPC’s Peabody-Award-winning program 180 Days: A Year Inside an American High School. The founder of both the New Media Institute in 2006 and the Public Media Corps (PMC) in 2009, Jacquie continues to blaze new trails in the digital sphere. Her past work includes The Katrina Project and The Masculinity Project – both available to watch on this very website. Michèle Stephenson Throughout a dynamic career in law, film and digital media, Michèle Stephenson has helped shape today’s media landscape with a spotlight on social justice. Along with spouse and fellow filmmaker Joe Brewster, she co-founded Rada Film Group and has received awards for her video advocacy work at Sundance, the New York Film Festival and SilverDocs, among others. Michèle has served as a mentor for our 360 Incubator + Fund, and collaborated with NBPC to produce Haiti: One Day One Destiny. 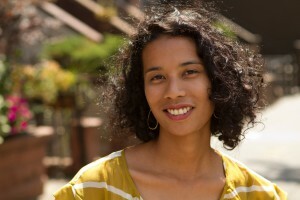 Recent projects include American Promise (which premiered on PBS in 2014), plus New York Times Op-Docs “A Conversation with White People on Race” and “An Education in Equality.” She is currently in production on the doc “Hispaniola” about Haitians and Dominicans affected by the Dominican Republic’s citizenship legislation. Nosarieme Garrick Rising-star writer and filmmaker Nosarieme Garrick refined her award-winning project My Africa Is as part of NBPC’s inaugural 360 Incubator + Fund. Her documentary short told three stories of youth innovators in Nairobi, Kenya, and had its broadcast debut on Season 8 of the documentary series “AfroPoP.” Nosa has roots both in Nigeria and in the United States. Her work as a writer and director has highlighted African cultures and communities – particularly the role of young people in transforming them. – Want to learn more about movers and shakers in black public media? Sign up for our Producer’s Portal to network with them! The post 9 Black Female Filmmakers to Celebrate for Women’s History Month! appeared first on Black Public Media. NYC native and UCLA alum Julie Dash may be best-known for her first feature, Daughters of the Dust (1991), funded in part by NBPC. With a cast comprised almost entirely of African American women, “Daughters” was the first film by a black female director to receive U.S. theatrical release – and has since become a classic of independent cinema. Julie Dash’s long and distinguished career (“Incognito,” “Love Song” and “The Rosa Parks Story” with Angela Bassett, and many others) continues with her latest project Travel Notes of a Geechee Girl, a documentary about the life of author, chef and performer Vertamae Smart-Grosvenor. A frequent collaborator with NBPC, Emmy-nominated Angela Tucker is the director of the web series Black Folk Don’t… and the series producer for AfroPoP: The Ultimate Cultural Exchange. Her award-winning and boundary-defying work includes the feature-length doc “(A)Sexual” (available on Netflix and iTunes), “The New Black” (which had its 2014 premiere on Independent Lens) and the teen comedy “Paper Chase” (co-written with Lauren Domino). A graduate of Columbia University’s film MFA program, Angela is the founder and president of the production company TuckerGurl LLC. NBPC is a proud co-funder of Maya Angelou: And Still I Rise. The film is available to stream FREE for a limited time on our website. Award-winning filmmaker Melissa Haizlip is the National Black Programming Consortium’s current artist-in-residence. Her work has included the 2013 short You’re Dead to Me and the feature-length doc Mr. SOUL! Ellis Haizlip and the Birth of Black Power TV, which won the Audience Award at the 2015 Martha’s Vineyard Film Festival and screened as a work-in-progress at IFP’s Spotlight on Documentaries during Independent Film Week. In addition to her residency at NBPC, Melissa has participated in the 2015 NALIP ARC Diverse Women in Media Residency and the Chaz and Roger Ebert Producing Fellowship. She is an alum of Film Independent’s Project: Involve, Firelight Media’s Documentary Lab, the PGA Diversity Workshop, and Yale University. She is currently in production on the sci-fi feature A Day in the Life of Bliss, directed by Wu Tsang. 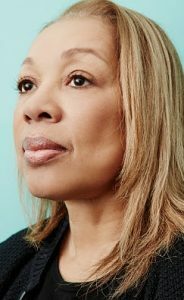 A San Francisco native and NYU alum, Christine Turner has an impressive resume, featuring work with Stanley Nelson, Bill Moyers, Thirteen/WNET, HBO and many others. Her documentary and fiction films have been screened at Tribeca Film Festival, the San Francisco International Film Festival and (most recently) the 2017 Sundance Film Festival. They include the documentary Homegoings – co-presented by NBPC when it premiered on the PBS series “POV” in 2013 – as well as the short films “Hold On,” about Alzheimer’s disease, and “You Can Go,” about a school administrator and a troubled student. Director, writer and producer Yoruba Richen enjoys a successful career both in journalism and in documentary film. 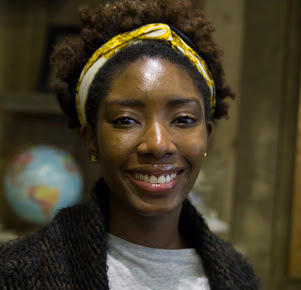 A Harlem native and director of the CUNY Graduate School of Journalism’s documentary program, she has received funding from, among others, ITVS, Sundance, Chicken & Egg Pictures and NBPC. Her doc The New Black won Urbanworld Film Festival’s Best Documentary Award and aired on the PBS series “Independent Lens” in 2014. She also produced “Out in the Night,” which broadcast on “POV” in 2015. Other acclaimed work includes “Promised Land” (2010), the drama “Brother to Brother” (2004) with Anthony Mackie and the NYC-centric doc “Take It From Me” (2001). Not only is Jacquie Jones a digital media pioneer, she has played a vital role in the history of the National Black Programming Consortium. An award-winning director, producer and writer now based in Washington, D.C., Jacquie served as NBPC’s executive director for 13 years. She executive produced the series “AfroPoP” for seven of its nine seasons, as well as NBPC’s Peabody-Award-winning program 180 Days: A Year Inside an American High School. The founder of both the New Media Institute in 2006 and the Public Media Corps (PMC) in 2009, Jacquie continues to blaze new trails in the digital sphere. Her past work includes The Katrina Project and The Masculinity Project – both available to watch on this very website. Throughout a dynamic career in law, film and digital media, Michèle Stephenson has helped shape today’s media landscape with a spotlight on social justice. Along with spouse and fellow filmmaker Joe Brewster, she co-founded Rada Film Group and has received awards for her video advocacy work at Sundance, the New York Film Festival and SilverDocs, among others. Michèle has served as a mentor for our 360 Incubator + Fund, and collaborated with NBPC to produce Haiti: One Day One Destiny. 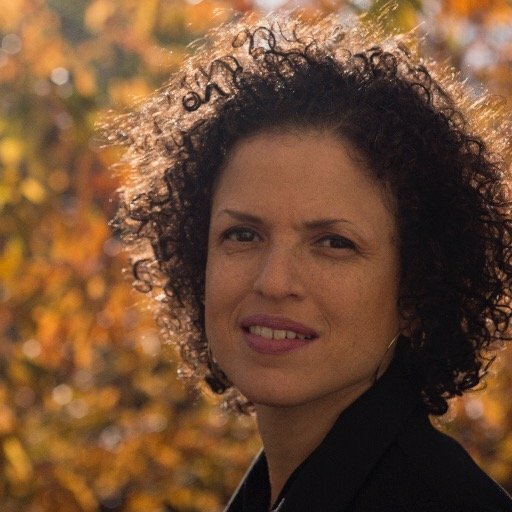 Recent projects include American Promise (which premiered on PBS in 2014), plus New York Times Op-Docs “A Conversation with White People on Race” and “An Education in Equality.” She is currently in production on the doc “Hispaniola” about Haitians and Dominicans affected by the Dominican Republic’s citizenship legislation. Nosa has roots both in Nigeria and in the United States. Her work as a writer and director has highlighted African cultures and communities – particularly the role of young people in transforming them. Want to learn more about movers and shakers in black public media? Sign up for our Producer’s Portal to network with them! The post 9 Black Female Filmmakers to Celebrate for Women’s History Month! appeared first on Black Public Media.